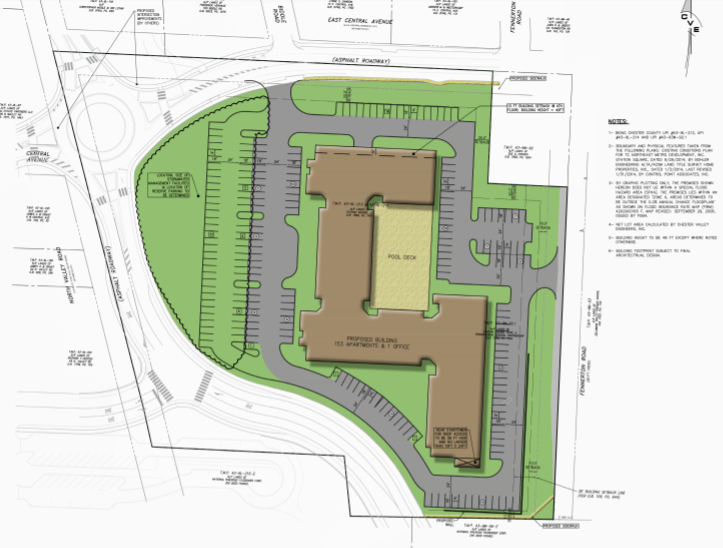 Updates: Station Square Redevelopment project moves forward & Aquilante’s catering property … another assisted living facility? I attended Tredyffrin Township’s Planning Commission meeting this past week, along with an overflowing audience of residents. The two items on the agenda attracting the attention – (1) Preliminary/Final Land Development approval on the Station Square redevelopment project, N. Valley Road in Paoli and (2) Consideration of a text amendment to the “Institutional Overlay” district. The Linden Lane Capital Partners “Station Square Redevelopment” (LD-07-2017 application) project consolidates three parcels into one parcel for the redevelopment of the four existing two-story office buildings. 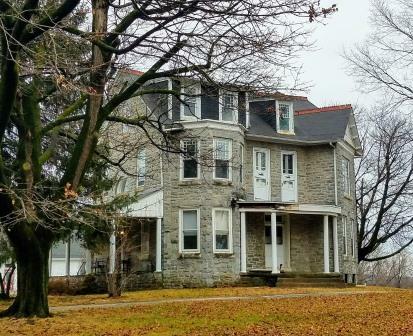 The property is located next to the Paoli Train station at 37 N. Valley Road, within the TCD (Town Center) district. To qualify in the Town Center District (and receive its various zoning bonuses) requires mixed use in the Station Square redevelopment project. The original plan called for three separate apartment buildings, each with a small 750 sq. ft. office for a total of 3 offices. In the settlement decision with the township for conditional use, the three buildings were consolidated into one building (205,000 sq. ft) and instead of including three offices; the new plan only contains one 750 sq. office space. There has been much discussion from the Planning Commissioners and residents that this imbalance between residential and office may constitute ‘mixed-use’ but is not the spirit or vision for Town Center District zoning. The existing structures will be demolished in order to construct one new four-story mixed-use building, containing 153 apartments and first floor office space, plus above and underground parking, interior courtyard and swimming pool. The Station Square redevelopment project at the corner of Central and North Valley in Paoli is significant. The immediate neighborhood, which includes private homes and the Delaware Valley Friends School, is already challenged with the daily increase of traffic as commuters travel on East and West Central Avenue to avoid backups and traffic lights on Routes 252 and 30. Traffic studies by the developer have yet to convince any of us that this project is not going to add more traffic to currently existing traffic problems. But if you were to believe the developer and his attorney, the residents of this new multi-story apartment building are only going to travel by train, and additional cars will not be an issue. As part of the redevelopment plan, approximately one acre of the Station Square property will be transferred through eminent domain to Amtrak and SEPTA for the proposed $36 million redevelopment of the Paoli Transportation Center and realignment of a bridge over Valley Road. The pitch for preliminary/final land development approval for the Station Square project included a list of proposed waivers. What caught everyone’s attention was a landscaping waiver asking for a reduction in shade trees, evergreen trees and shrubs – a total reduction of 200 plants! The Planning Commissioners, most notably Denise Waite, were as troubled by the landscaping waiver request as were the neighbors. David Falcone, developer’s attorney argued that plantings on N. Valley would be the responsibility of Amtrak not his clients. A very petty argument on such a costly project; in the end, Falcone was told to work with the township staff for resolution. I liked the suggestion of one neighbor – if there was a problem finding room for the shade and evergreen trees have the developer offer them to the neighboring Central Avenue residents. It will be interesting to see what ends up in the final plans. The second item on the agenda of interest to many residents was ZA-01-2016 “Institutional Overlay Amendment”. 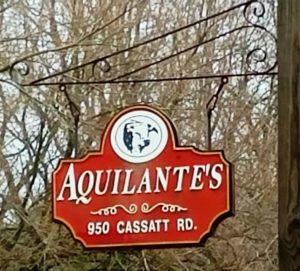 It took me awhile to realize that this was the Aquilante property at 950 Cassatt Road in Berwyn. The Nolen Properties development group was previously in front of the Planning Commissioners with a plan for a “residential care facility for older persons” in December 2016. They sought to re-zone the Cassatt Road property from R-1 (Residential) to O (Office) and to petition for the O (Office) district to permit a residential care facility as a usage. In the interim year, the development company purchased additional land and the property now has 10+ acres so that it meets the minimum size requirement for the Institutional Overlay district. 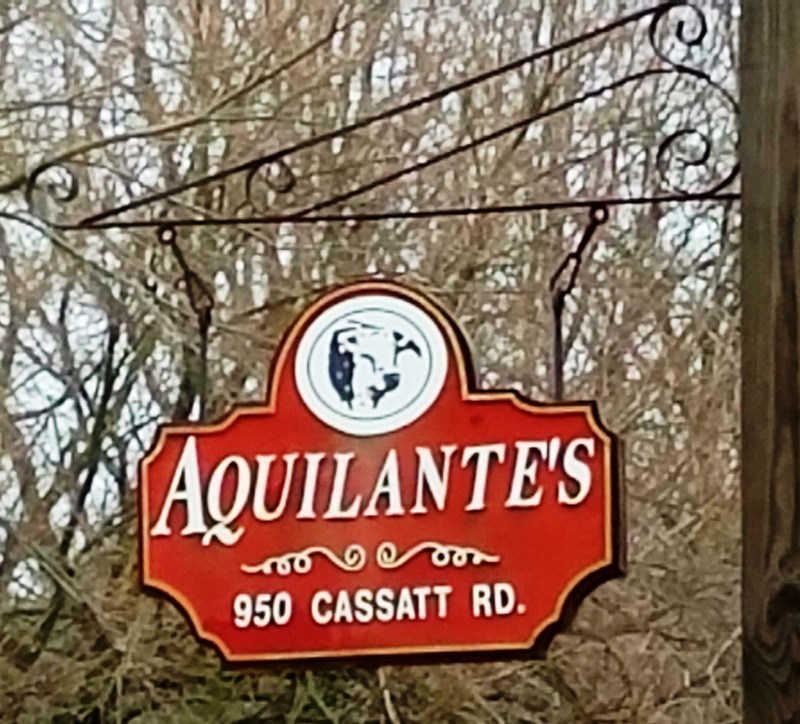 As we learned at the meeting, because the R-1 property on Cassatt had been operating as Aquilante’s catering business (and apparently a slaughterhouse before the catering usage), the nonconforming usage passes with the property – thus making it a ‘by-right’ use for commercial development, including a residential care facility. What is this Institutional Overlay district and why was it important to Nolen Properties? Because with certain criteria – a Residential property (such as Aquilante’s) with a min. of 10 acres, that is adjacent to a commercial zoned property, qualifies for many more usages, such as schools, churches or in this case, a residential care facility for older persons. Important to Nolen Properties is that the IO district allows for a density of “30 beds per acre” in its proposed care facility – yes, the proposed change to the ordinance would allow for 300 beds on the Cassatt Road property! 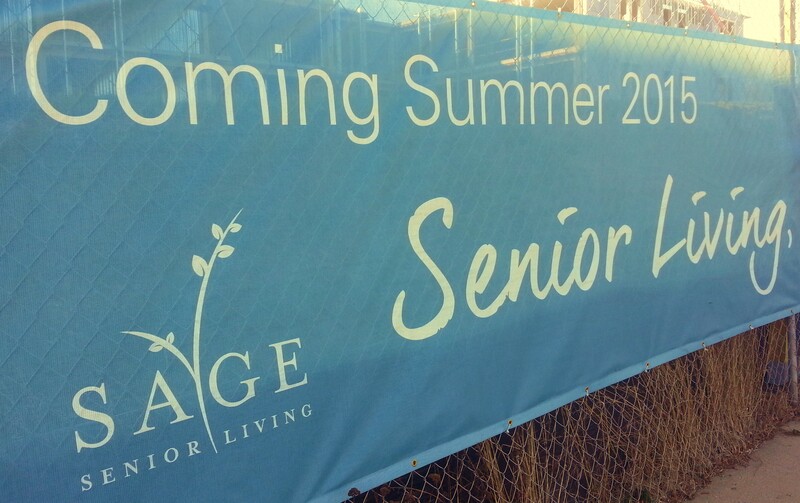 To fully understand the potential size and impact of this proposed project on Cassatt Road – you must drive by the Brightview Senior Living project on E. Conestoga Road (behind Whole Foods) in Devon which is under construction. 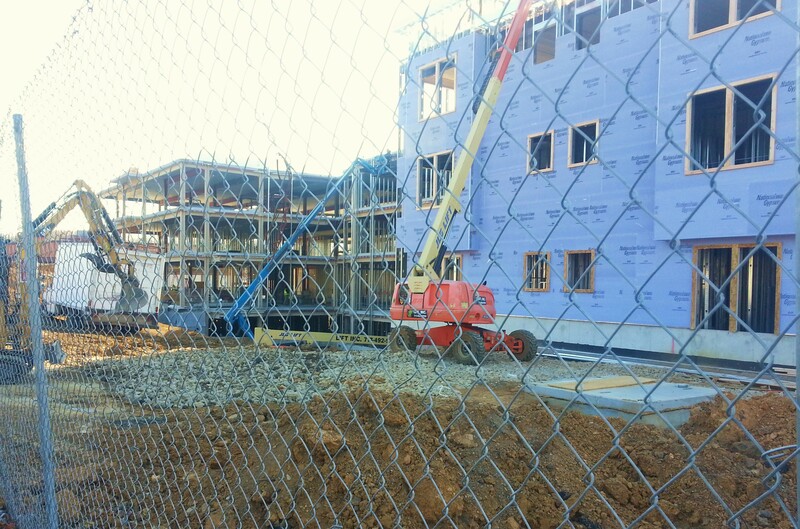 This project is over-sized for the space, wedged next to the train tracks and has 196 beds! For perspective, if the text amendment change is granted on the Aquilante property, the proposed residential care facility could come with 300 beds! Every time I hear the ‘text amendment’ I am reminded of the Daylesford Crossing. You may recall the abandoned Jimmy Duffy property on Lancaster Avenue and the subsequent construction of Daylesford Crossing, an assisted living facility on the site. The approval for Daylesford Crossing was a long, drawn out redevelopment process in 2012 that required a text amendment to permit senior living facilities as a by-right use in C-1 (commercial) zoning. Although the Aquilante property is in the preliminary land development stage, residents had plenty of questions and comments, many having to do with the potential traffic impacts of the development, including cut-through traffic on Westwind Drive to Contention Lane and points east. Many neighbors attended the meeting — all voicing their opposition to the proposed plan. When asked what other properties in the township could be impacted by the proposed ordinance change, no one knew the answer. It seems to me that there needs to be an answer to that question before this proposal can advance. 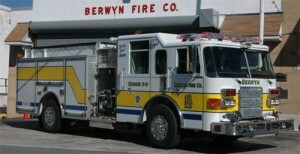 It should also be noted that Berwyn Fire Chief Eamon Brazunas attended the meeting and commented on the potential increase of emergency calls at assisted living facilities — remember the fire companies serving Tredyffrin Township are combination departments, paid staff and volunteers. I guess my question is how many residential/assisted living facilities do the residents of Tredyffrin Township need (or want)? Hurricane Sandy Affected Firefighters & Families … You can help! Watching the news of the devastation and loss in New York and New Jersey caused by Hurricane Sandy, left many in this community wondering what we could do to help. The Radnor Fire Company (RFC) is continuing their collection efforts for firefighters and families affected by the hurricane. I received the following press release from Eamon Brazunas, RFC Administrative Director, encouraging the public’s help — deadline for donations for upcoming shipment to affected areas is this Friday, November 16, 10 PM. WAYNE, PA – The Radnor Fire Company is continuing its partnership with the Friends of Firefighters, Inc. (FoF) as a drop-off site for donations for the Fire Department of New York and the New York volunteer fire stations that were destroyed or damaged in the wake of Hurricane Sandy. These donations will assist firefighters, their families and citizens as they recover from this disaster. Based on its organization and influx of donations, the FoF is taking on an expanded role in the wake of the disaster and is working to raise $5 million to aid in ongoing relief efforts. The first round of donated goods and financial contributions were put to use in Breezy Point, NY and the surrounding areas affected this past weekend. In some cases the donations collected at RFC were among the first items residents received for relief. To donate directly to the Friends of Firefighters, Inc. you can visit www.friendsoffirefighters.org and utilize the PayPal option. You can also drop checks off at RFC that will then be forwarded to FoF. All donations to Friends of Firefighters, a non-profit 501(c)(3) organization, are tax deductible to the extent allowable by law. The deadline to donate items for this shipment is Friday, November 16th at 10 p.m. 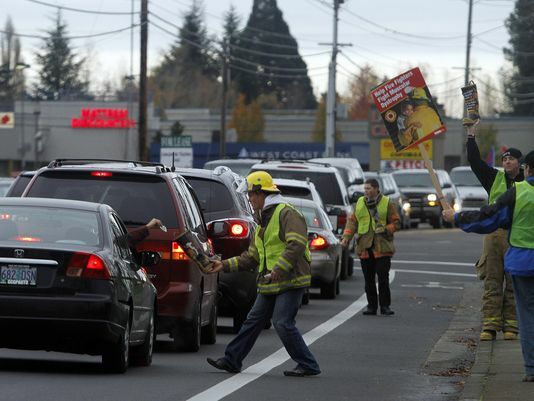 The next convoy of donations will head up early Saturday, November 17th. All items are to be dropped off at the Radnor Fire Company located at 121 S. Wayne Ave., Wayne, PA 19087. The fire station is located one block off of Lancaster Ave. across the street from the Wayne Post Office. Please contact Eamon C. Brazunas, RFC Administrative Director, by phone at 610-687-3245 ext. 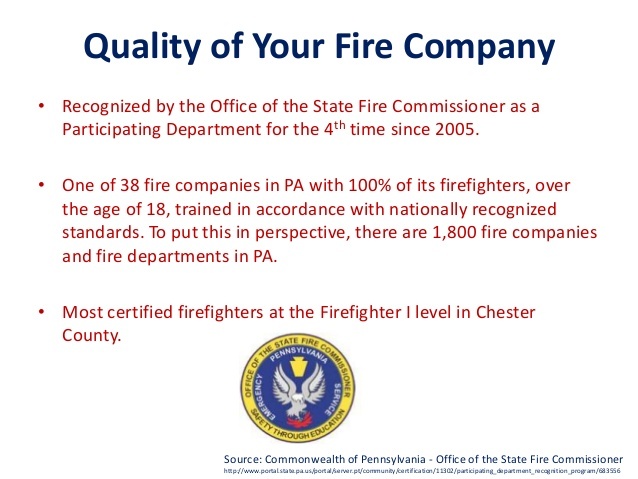 10 or by email at admin@radnorfire.com if you have any questions. A couple of noteworthy political items . . .
“After careful consideration I have decided not to seek election to the Board of Supervisors this year. Therefore, I will not be running in the 2011 election cycle. While it has been a goal of mine to serve the residents in Tredyffrin on the Board, I will be taking this year to fully appreciate the first year of Stella’s life. In December, Eamon and his wife Ali became first-time parents to daughter Stella Nicola. I think we would all agree that this is a very special time in the Brazunas family and should be enjoyed! I appreciate that Eamon was a supervisor candidate in the past and that he recently participated as a candidate for the interim supervisor vacancy. The entire community appreciates his continued service as a Berwyn volunteer firefighter! On another political note . . . tomorrow is the Chester County Republican Convention and I will be attending. A couple of years ago, I attended the convention to support Judy DiFilippo when she was running for the State House and was interested in the process. If you recall, over the last several weeks, I have written about Chester County’s district attorney race. The race is very close for Republican candidates Pat Carmody, Tom Hogan and Steve Kelly. After the county straw polls, Carmody was ahead of Hogan, but only by two votes and Kelly was in third place. Based on my experience, the straw polls may (or may not) be an indicator of the voting at the convention. To avoid a primary race between Republican candidates would require that one of these three candidates receive 60% of the votes cast at the convention. If committee members are unable to attend the convention, they need to give their proxy vote to someone to attend in their absence. Good news is that the weather tomorrow should not be a factor to keep anyone home. All the votes are important and could be the deciding factor in whose name will appear on the May primary ballot. Attending last night’s Board of Supervisors meeting was much like attending a wedding. Entering Keene Hall, I found members on the bride’s side of the aisle there to support Republican Kristen Mayock as the interim supervisor. Left of the aisle, the groom’s side contained those gathered to support Republican Mike Heaberg. Representatives from both sides promised that their candidate was the right one to lead the township. The audience heard from supporters of Mayock and Heaberg, as well as for the Democrat candidate Eamon Brazunas. Friends and political allies praised Mayock for her personal, business and civic achievements. Some of the words used to describe her were skilled negotiator, creative as well as committed and very intelligent. A former Republican committee member and fellow attorney at her law firm, Scott Reidenbach spoke eloquently of Mayock . . . describing her as someone who ‘gets it’ and that she, “understands people and understands this township”. Others rose to the microphone to extol Heaberg’s virtues, describing him as smart, talented, community-minded . . . the “ultimate selfless person who is seeking public office for all the right reasons”. Sandy Gorman, a fellow FLITE board member and friend, said three words described Heaberg . . . integrity, reliability and thoroughness. There is a part in a traditional wedding ceremony, when the officiant says, ‘if anyone objects . . . let him speak now or forever hold his peace.” Like those words in a wedding ceremony, chair of the Tredyffrin Democrats, Dariel Jamieson took the microphone to make a case for the all-Republican Board of Supervisors to choose a Democrat candidate to fill the vacated Republican seat. Supporting interim supervisor candidate Eamon Brazunas, Jamieson described the volunteer firefighter as committed to service and to the community; as someone we trust with our lives. In her support of Brazunas, Jamieson explained that Brazunas had run twice before for the Board of Supervisors and represented broad appeal to both parties, having only lost the last election by 71 votes. Jamieson offered that 45% of the residents of Tredyffrin are registered Republicans and that the other 55% of the township population is not, so perhaps a Democrat should be appointed to add balance to the board. Unfortunately, Chairman Lamina’s partisan response to Jamieson was far from satisfactory; telling her that he could never vote for someone unless they were a Republican. Elected to serve all the people . . . Republicans, Democrats, Independents . . . I found Lamina’s remark, particularly as chair of the Board of Supervisors, to be both inappropriate and offensive. This kind of remark has the potential to continue to push the political wedge between members of this community. And for what purpose . . . for what political gain? Tonight Lamina formally announced that he would not be seeking re-election; so why not try, in the last remaining 10 months of your term, to bring people together rather than continuing to separate and divide. The five members of the Board of Supervisors (Paul Olson was on vacation) took a vote on the interim supervisor appointment. As some expected, DiBuonaventuro supported Mayock and the other four voted in favor of Heaberg. Mike Heaberg was elected 4-1 to fill the interim supervisor position and will be sworn in at the next Board of Supervisors meeting. The supervisor appointment is over; but are the hard feelings between the Republican Committee people still there? Will the two opposing factions come together to support and work with the newly appointed Mike Heaberg? Can the badly split Republican Committee manage reconciliation for the sake of the ‘party’? On the other hand, if the fences cannot be mended, does this now create a permanent party divide? Looking ahead, will Brazunas challenge Heaberg in the Special Election? Will the Republican Committee endorse both Heaberg and Mayock as the two at-large candidates for the May Primary? Will Brazunas enter his third bid for election to the Board of Supervisors? Summing of the Board of Supervisors meeting . . . as someone who believes in ‘people’ and ‘issues’ and not partisan politics, I found the meeting disturbing. As possibly the lone ‘Independent’ in a room filled with political stakeholders, the talk of Republicans and Democrats was both uncomfortable and unsettling. And I cringe that our elected officials are discussing party politics from the dais. Appoint the right ‘person’ and leave the party politics at the door. And once elected, we want them to set aside their ‘R’ or their ‘D’ and simply govern and serve us all. I attended the supervisor interviews last night with approximately 20 other residents. The three candidates, Eamon Brazunas, Mike Heaberg and Kristen Mayock were interviewed for the interim supervisor position. The Personnel Committee, supervisors Bob Lamina, Phil Donahue and Michele Kichline, interviewed the candidates individually. The interviews consisted of 7 questions and candidates were allotted 30 min. for each of their interviews. The Personnel Committee took turns asking the supervisor candidates the prepared questions. Although I have previously stated that I believed that the interview process should include all six supervisors rather than only three, supervisors Lamina, Donahue and Kichline came prepared last night and are to be congratulated for their efforts. These supervisors were prepared, focused and respectful of all three candidates. To this post, I am attaching copies of the three candidates resumes. – Eamon Brazunas resume, Mike Heaberg resume and Kristen Mayock resume. Bob Lamina provided me with a copy of the interview questions. Following each interview question, I have provided a brief summary of the candidate’s responses. Question #1: Tell us a little about yourself. Each of the candidates responded to this question with biographical information, including professional and personal information. I am not going to address this question, as it is best served by a review of the candidate’s resumes. Question #2: If not already answered as part of Question #1, can you share with us some of the relevant experiences you have that you believe will help you contribute to the Board of Supervisors, or – How does your professional and/or personal background make you a good candidate to the Board? Brazunas response: He will bring a different perspective to the Board of Supervisors on how the community works; based on serving as a volunteer firefighter for the Berwyn Fire Company. Fire companies are serious business, not like the old days, and Brazunas spoke of appreciating the recent $15K award to Radnor Fire Company. In his professional work with Radnor Fire Company, he has to make difficult decisions. He has personnel experience and as a firefighter has experience in dealing with volunteers, particularly in disaster relief efforts. Heaberg response: Heaberg has a desire to give back and serve the community. He remarked that there is a fantastic quality of life in Tredyffrin which includes great schools and libraries, public safety, volunteer organizations and citizens who make volunteer commitments through time and/or money. His three children are grown and out of the house and he has the time to necessary to commit to serving as a supervisor. His professional experience includes working with taxpayers so has empathy for the other side of government. Heaberg understands that the role of government is to be respectful when spending others money. As a small business owner, he works with payroll and budget, health care benefits, leasing space and hiring people – all qualities required as a supervisor. He is good at decision-making and with conflicts of interest; looking at the biases and potential conflicts of interest of those providing information or presenting their opinion as fact. Heaberg commits to the necessary research to better analyze the problem and apply judgment in the decision. Mayock response: Mayock believes that her experience on the township’s Zoning Hearing Board and her legal experience in zoning would be helpful to the Board of Supervisors. She worked for Thacher Longstreth for 5 years and was involved in constituent services and budget negotiations for 5 Philadelphia budgets. In her role as Deputy Attorney General, Mayock represented Gov. Ridge. She thinks that her background lends itself to government and budget. Question #3: What do you think the biggest challenge is for Tredyffrin Township as we move in the future? Heaberg response: Heaberg believes that the township is good shape financially. He observed that due to the economy, Tredyffrin faces the challenge that it may not be able to expect the same level of support from State and Federal agencies as in the past. According to Heaberg, the township should not expect a windfall coming; there is unlikely to be large real estate transfer revenue and not likely to be a lot of new development. There will be a challenge to expense control, specifically on employee benefits. Mayock response: Anticipating that she would be applying for the Board of Supervisors, Mayock has asked local citizens about their concerns. People generally seem to be happy and had to be pressed to respond. She reported that transportation and traffic concerns was the issue most named. Other responses from citizens included the desire to enjoy the quality of life but not raise taxes. Mayock thinks that the township needs to encourage new businesses to come to Tredyffrin. She believes that if they work in Tredyffrin, they will purchase homes in Tredyffrin and that will increase transfer tax revenue. Question #4: What do you believe is your greatest strength and your biggest weakness? Brazunas response: Brazunas views his strengths as persistent and dedicated;and that he does not give up easily. He feels that his biggest weakness is learning how to take a day off; how to force a breather from work and volunteer life. Brazunas referenced being a new father (of 2 wks) and that he has already found that having a baby changes your life. Being a parent is making it easier for him to take a break and come home to be with the baby. Heaberg response: Heaberg views his judgment ability as a personal strength and that he does a good job at researching and analyzing issues. He views himself as thoughtful and that he learns from his mistakes. With regards to weakness, Heaberg responded that he is not always patient. Mayock response: Mayock believes that her negotiation talent is her greatest strength. As an attorney, she explained that negotiating is what she does for a living; taking two people and getting them to work together. Her weakness is that she has a difficult time saying ‘no’ and needs to learn how to turn down volunteer opportunities. Question #5: Can you share with us a challenging situation you’ve had to overcome, what was the specific example, what outcome, and what did you learn from the experience? Brazunas response: Brazunas cited a particularly challenging personnel matter where he was forced to facilitate the process, and ultimately let a person go that he knew personally. He was proud that he did not let a personal bias interfere with the decision-making process but handled the situation positively by doing what he believed was right under the circumstances. Heaberg response: Heaberg answered this question by explaining that the early years of his career was slow. 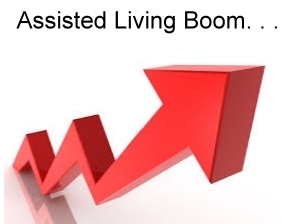 To encourage new business in his line of work of financial advising, requires the individual to be a good salesman. Heaberg reported that he was not as successful as he might have been in the early years because the sales side did not suit him. He had to accept that you cannot get 30 years of experience in 1 year. His challenge was how to feed his family in the early years and the greatest lesson was that there are no shortcuts if you are going to do it right. Mayock response: Mayock responded to this question by claiming that she has a ‘blessed life’. However, a personal challenge as a teenager was the loss of her best friend. Her best friend was diagnosed with brain cancer at 16 and went on to live a few more years. As a result of her friend’s cancer, Mayock helped found ‘Katies Kids for the Cure’ with her friend’s family which raised money for families living with brain cancer. The organization raised $500K which was given to the Wistar Foundation and is now part of the Alex Lemonade nonprofit. Although she was challenged in the loss of her best friend, something very positive came as a result. Question #6: If appointed you have 3 months on the Board of Supervisors before the primary election. What do you see as your priority as a new supervisor? Brazunas response: Brazunas thinks it will be important to get up to speed with the other members of the Board of Supervisors. If appointed, he would ask for a sit-down with each supervisor so that he is not walking in and making decisions blindly. Heaberg response: Heaberg believes that it is important to be receptive and respectful, especially to the citizens. He understands that the Board of Supervisors are putting their faith in him; that they are making the choice. However, just because the voter did not pick him does not mean that what the citizen desires is any less important. Heaberg does not anticipate any hot issues in the 3 months. Believes that he will be thoughtful and thorough in making decisions. Mayock response: Although Mayock stated that 3 months is not long to get much done, she gave a list of important issues of interest: Pennsylvania Turnpike expansion and sound walls and Rt. 202 expansion and sound walls. Mayock thinks that these projects have been dragging on for a long time. Due to her Great Valley Association involvement, she said that these are particularly important projects. Mayock spoke of the importance of economic redevelopment and is interested in seeing helping businesses expand or relocate to the township. She is troubled by the empty storefronts, particularly in Paoli and views that Paoli Transportation Center as important in the revitalizing of the community. Question #7: Do you have any questions for us? Brazunas response: Before answering this question, Brazunas responded that he did not receive pressure from anyone and that he did not interview with anyone. As a Democrat, he stated that the understands the political realities. He makes a bi-partisan commitment to serve the public. His question for the supervisors was to ask what are the hot topics facing the Board of Supervisors. Some of the issues named by the supervisors include: upcoming collective bargaining agreements, encouraging better community communication, financial – where do we find the money, how to redevelop properties and bring business back to Tredyffrin Township – the township needs to be able to compete. Heaberg response: Heaberg asked the supervisors what they view were the greatest challenges facing Tredyffrin. The supervisors listed collective bargaining, benefit structure, budget, re-development of the community, how to support employees financially and how to pay for it as examples of township challenges. Mayock response: Mayock asked the supervisors to name their strengths/weakness. Lamina responded that keeping taxes low and delivering A1 service was a strength and being an active listener. Kichline responded that when she became a supervisor a year ago, it required her to make difficult decisions and was proud that she did. Additionally she mentioned that serving in an economic difficult time and still bringing in budget with no tax increase as challenging. Donahue stated that there was learning curve in serving as a supervisor. Since becoming a supervisor, he believes that there is a greater sense of professionalism in the township, including the hiring of a new finance director. He is proud that there was no tax increase as contrasted to other townships.